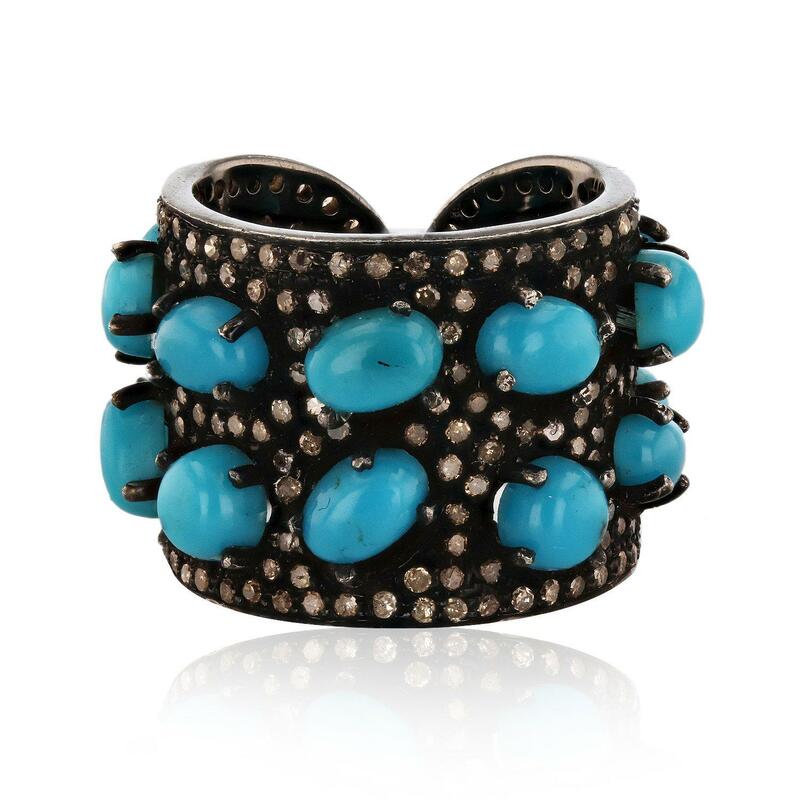 One electronically tested 925 silver ladies cast and assembled turquoise and diamond ring. Sixteen prong set oval cabochon cut natural turquoises, measuring 6.00 x 4.00 x 2.60mm, approximate total weight of 7.52ct., medium, strong, greenish blue color, (GIA gB 5/5), cut is good. Two Hundred Thirty-Two prong set single cut diamonds, measuring 1.10 - 1.00 x 0.63mm (depth est.) approximate total weight of 232 Stones = 0.98ct. Total Weight of Colored Stones 7.52 ct.
Total Weight of Diamonds 0.98 ct.